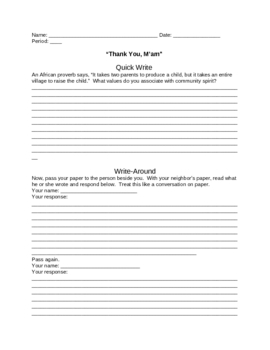 Use this quick write to help your students prepare their minds for reading Thank You, Mam, a short story by Langston Hughes. Then, have students complete the write-around by having them pass their paper to a classmate. Great way to get students to write without the fuss. This document is also available in the Thank You Mam All-in-One DEAL.